This film broke me. Perhaps it was the all too real nods to customer services. The seminars, the platitudes and the like. It might have been the brilliant chemistry between the cast. The voices of David Thewlis and Jenifer Jason Leigh provide a spark so strong that it made me realise just how much that’s missing from romances and dramas. Maybe those things helped. 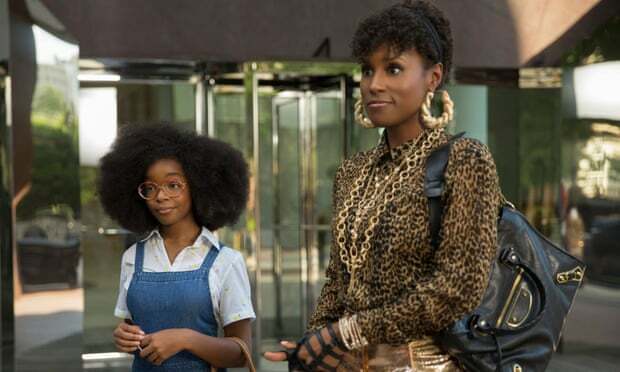 However, upon thinking about it, I feel it may have been the fact that the film’s real conceit is so simply considered, so stunningly honest and so close to my what scares me in my own everyday life and how I see people try (and fail) to connect. The fact that the film felt so close to my own feelings. I think that’s what threw me. 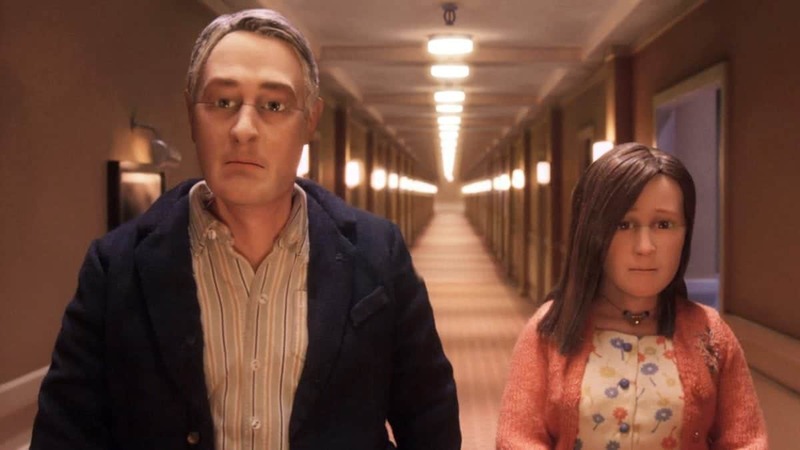 While Anomalisa is a stop-motion animation affair, it’s is by no way aimed at children. David Thewlis plays Michael Stone; a charming, but broken down customer service expert who travels to Cincinnati to speak at a convention. A lonely man, whose mundane existence is symbolised by everyone he meets having the same voice (Tom Noolan) and looking exactly the same. This affliction has given Michael a painfully bitter view of life. That is until he is introduced to a unique woman; Lisa (Jennifer Jason Leigh). As with all Kaufman’s work, Anomalisa focuses on how our insecurities dictate our lives and how our need for control and lack of communication ruptures our already fragile relationships. This is a tough watch. Mostly because it’s so perceptive about human frailties. Kaufman co-directed Anomalisa with stop-animation specialist Duke Johnson with a wish for the audience to forget that what they’re watching is animated. They disregard and bypass the idea of the so-called “uncanny valley” and create a rich, detailed animated universe which never feels “off-putting”, although it’s more awkward moments are cringe worthy for the right reasons. Be it the awkward small talk between taxi drivers and service providers, to a sexual encounter with someone you just met. Kaufman is all about find those little human foibles and Johnson appears to be the man that animates them correctly, giving them a sense of weight and feeling. The animation also works in cementing the film’s direct references to the Fregoli delusion. Taking the infamous visual of John Malkovich entering his own head and seeing only himself (Malkovich, Malkovich) ,and setting in place a world in which Micheal Stone is so disaffected by the world, that he can only see and observe people as one face and one voice. It’s an odd and troubling idea, yet it’s one the worryingly feels closer to home than one would like to admit. As the western world becomes more “confined” and compartmented, as information grows denser and thicker, there is a sense of an inability to pull the unique qualities from those that we meet. The fumbling conversations that occur between Michael and the service workers he encounters are amusing not just for their gawkiness, but for the idea that he’s so cut off from others he doesn’t actually know that the customer service (in which he is meant to be an expert in) isn’t actually that bad. Of course, Michael’s affliction becomes more troubling when he encounters Lisa. The people we love we see as unique, what happens when we try and control this? Kaufman’s work is often about the brittle wish to control others. The nebbish, unsure leads that occupy Kaufman’s written and directorial works are often paralysed/obsessed with the uniqueness of those around them and they wish to harness this power, with little or no knowledge of what establishes them in the world. Here is no exception. Anomalisa is more subdued than Kaufman’s 2008 opus; Synecdoche, New York, yet it is one of his most accessible and human. Micheal Stone is perhaps one of Kaufman’s more likable creations, one whose frustrations feel more born out of unfortunate disconnect than the hubris of the likes of the indulgent Caden Cotard. But the accessibility also seems to come from the entirely grounded interactions to happen within throughout. One short, yet painful scene involves an old frame meeting up with Michael for the first time in over ten years. We have more understanding of the break up by the time the film ends, but the fragility of the scene when it plays out gives the moment it’s salience. For me, Anomalisa’s power comes from its acute ability to nail human frailties. So much of the film holds a sense of “being there” that it becomes scary. These odd, stop-animated characters and the quest for connection breathes with a rhythm that’s as detailed and rich as real life and is just as messy. Kaufman as mentioned himself has suggested that the film lack of solid success, didn’t help him in the way he had felt it would. How could it? In a film world so focused on drawing upon our nostalgia and fantastic escape, how could this make the right dent? It’s too introspective, too heavily built on what makes us tick. One what fractures us. Our irrationality. Our fears. I don’t expect the same to occur with others who watch this. I’m well aware that a writer holds their own bias over the material they watch. It is why we so often there is a disconnect between ourselves and the audience at large. The work of Charlie Kaufman moves me in a way that I see larger movies do to others. Ones of adventurers that dream of distant lands. It’s what close to the bone that touches me. Even now, I’m breaking the cardinal rule of writing about the text without being somewhat removed from it. However, I’ve always believed that honesty and feeling should often trump the so call writing rules we impose. After watching, I contacted my significant other. The conversation was brief. For me it was necessary. Like I have said before. This film broke me.